Academics from UCL today joined the Prime Minister of Lebanon, Saad Hariri, to launch a new Centre for research and learning, focused on growth and prosperity in Lebanon. Lebanon now hosts over one million Syrian refugees and around half a million Palestinian refugees, many of whom are living in urban areas. 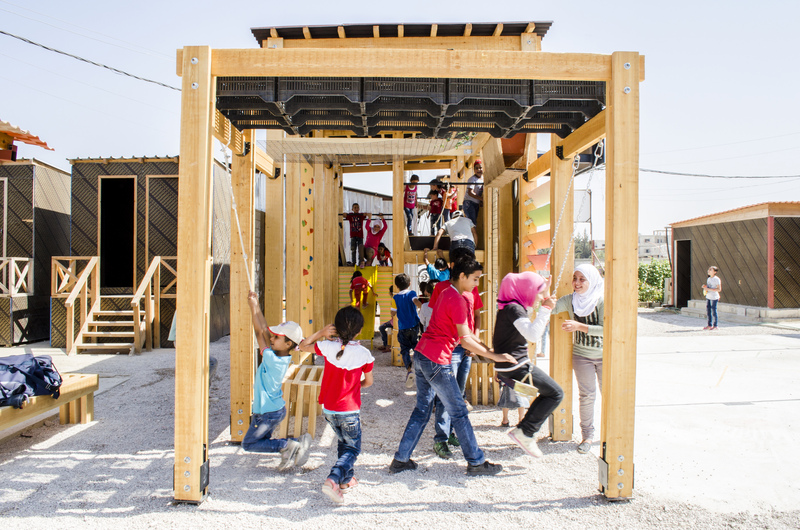 The RELIEF Centre will explore how to make countries such as Lebanon more prosperous and improve the lives of all those affected by mass displacement. Led by Professor Henrietta L. Moore, Director of the UCL Institute for Global Prosperity, and funded by the Economic and Social Research Council (ESRC), the Centre will work with the American University of Beirut (AUB) and the Centre for Lebanese Studies to identify ways in which universities can help boost local and national levels of prosperity. The RELIEF team will join local teams in Lebanon to explore how refugee and host communities can work together to build public services and better quality living environments. The programme will also explore what prosperity means for refugees and hosts, and develop tools and frameworks for people to monitor prosperity gains or deficits in their community. Professor Moore said, "Prosperity isn't just about improving GDP, you also need to fight inequality, promote social cohesion, and provide education, health, and decent employment. Giving people hope for the future. "My hope is that the RELIEF Centre will ultimately improve the quality of people's lives through a programme of research, education and civic engagement that develops a vision of future prosperity for Lebanon." Speaking at the launch, Professor David Price, UCL Vice-Provost (Research) said, "UCL was founded with the belief that education should be open to all, and that education has the power to change the world. We draw our inspiration from Jeremy Bentham's belief that we should strive for the greatest good for the greatest number. And this serves to remind us of the contribution education can make. "The Centre's priority themes - Education, Liveable Cities, Public Services and Health and Wellbeing - are areas where we hope UCL's cross-disciplinary expertise can make a valuable contribution to the work of colleagues from the AUB and the Centre for Lebanese Studies. These themes are not only challenges for Lebanon alone but echoed the world over. This is why it so important that we can come together as an academic community, and as a truly global university to learn from one another and share wisdom for the benefit of all." The UCL academics involved with the RELEIF programme are: Professor Nick Tyler (UCL Civil, Environmental & Geomatic Engineering), Professor Camillo Boano (UCL Development Planning Unit), Professor Jamie MacIntosh (UCL Institute for Security and Resilience Studies), Professor Mike Batty (UCL Centre for Advanced Spatial Analysis), Dr Tejendra Pherali (UCL Institute of Education) Professor Diana Laurillard (UCL Institute of Education), Professor Henrietta L.Moore and Dr Nikolay Mintchev (UCL Institute for Global Prosperity).